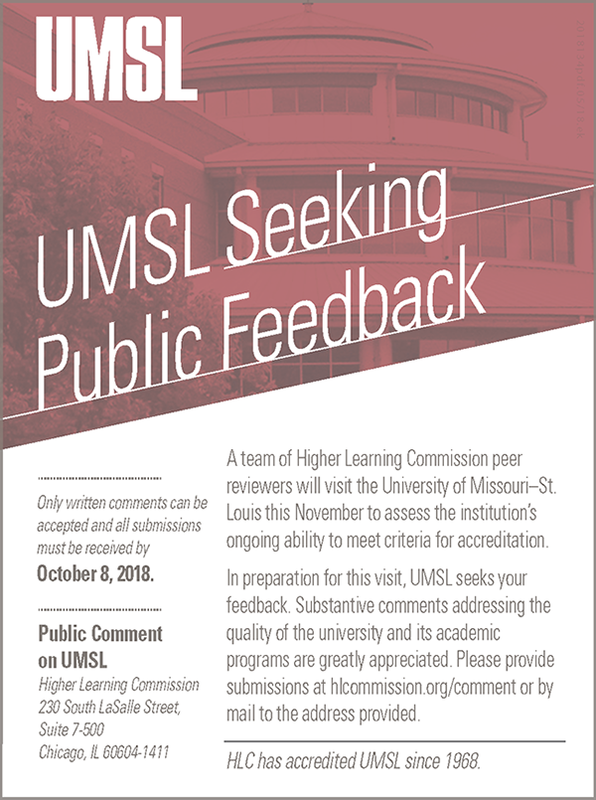 The University of Missouri-St. Louis is accredited by the Higher Learning Commission. As part of maintaining accreditation, UMSL’s programs and processes are periodically reviewed to ensure institutional quality and integrity. The HLC’s accreditation process ensures that each institution meets a set of established standards and is committed to continuous improvement of its programs and services. The HLC's ten Criteria for Accreditation: Guiding Values provide the foundation for the reaccreditation review.